the Speak Up For Your Child Bootcamp! as the Family Faculty for the LoneStar LEND (Leadership in Education for Neurodevelopmental Disabilities) in the Texas Medical Center. 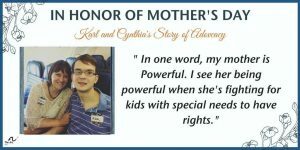 Leading the grassroots effort in 2006 and 2008 that passed the Texas state insurance reform for children with autism. Texas was the second state in the US to pass insurance reform. Our success inspired advocates in other states to work towards insurance reform in their states and at the federal level. as one of 17 public members of the 35 member committee. Find out more about the Texas Autism Supplement. 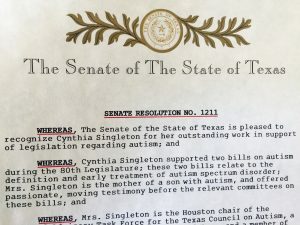 A resolution recognizing and honoring her “outstanding work” on the bills which reformed Texas state insurance requirements for persons with autism which has resulted in families across the state of Texas. It’s about relationship, communication, and knowing your rights. She teaches her clients how to cultivate relationships that will truly help them obtain what their child needs. It takes a team. You need experts on your team who can listen and work with you to meet your child’s needs. She coaches her clients to communicate clearly and effectively. Speak from the heart, get to the point, and choose your battles. Most people in special ed really do want to help, they often just don’t know what they don’t know. That’s why you have to. 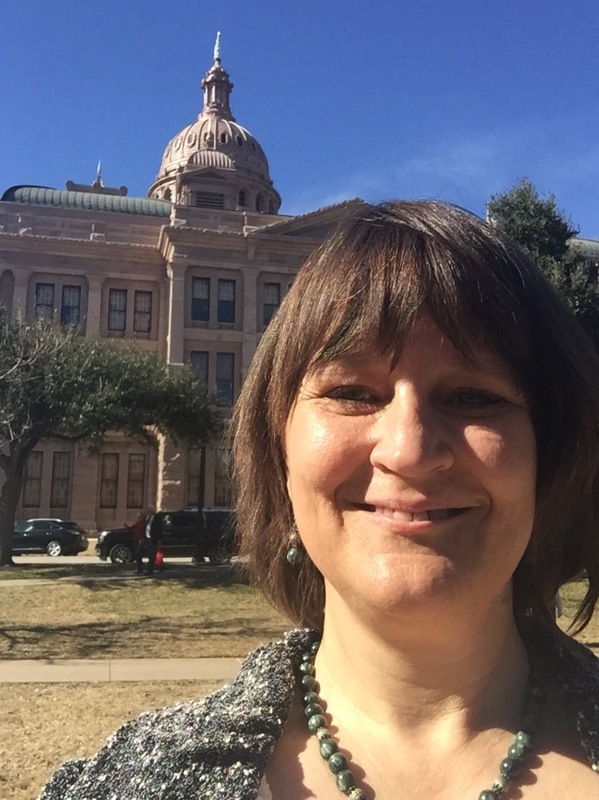 She has heard school staffers make at least one illegal and/or incorrect comment in every IEP/ARD meeting that she’s attended in over 18 years of advocating, . You, as a parent, must know your rights in order to know whether what you’re being told by school staff at an IEP/ARD meeting is true.